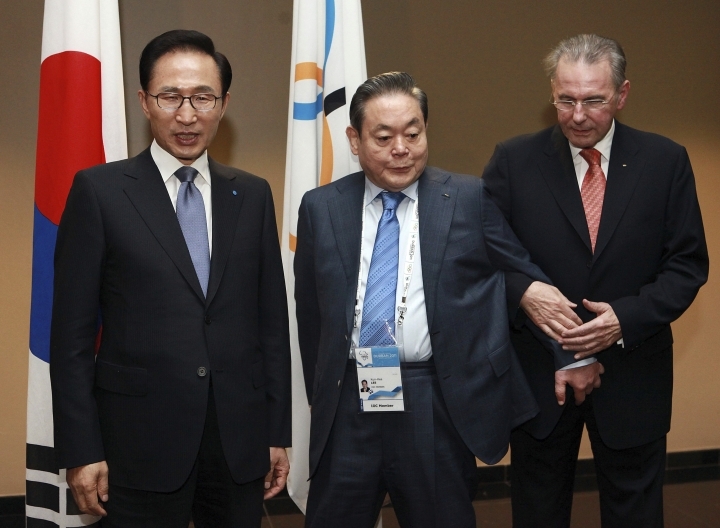 SEOUL, South Korea — Samsung has denied a media report it launched illicit lobbying to help bring the 2018 Winter Olympics to Pyeongchang, South Korea. Earlier this month, South Korean prosecutors indicted Lee Myung-bak on charges he took bribes from Samsung and others. Prosecutors said Samsung took such benefits as Lee Kun-hee's pardon in return for the bribes.